Coupons valid until February 15, 2019. May redeem multiple coupons per person. Valid all days of the week from 7 AM till 7 PM. Pick up from Triple K. Delivery available for an extra charge upon location. Reservation required at least 24 hours prior on 03 718 958 or 71 718 958, quote Gosawa coupon. Coupons must be printed. No carry over. VAT included in price. Standard terms & conditions apply. 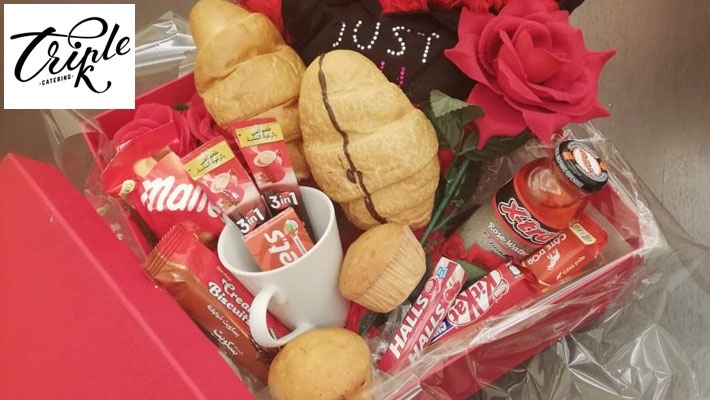 Surprise your loved one with the perfect treat on Valentine's Day! 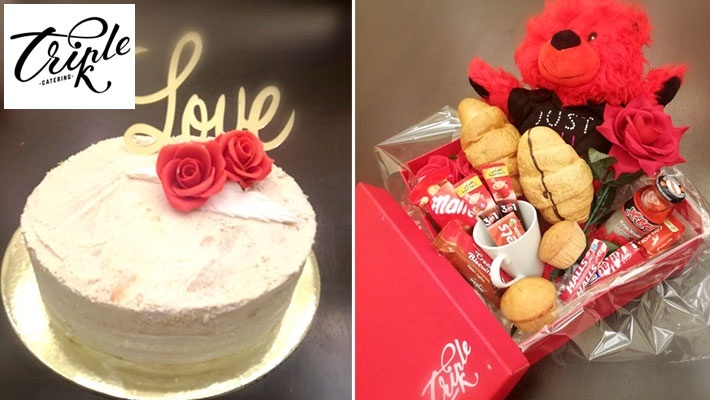 Benefit from the Valentine's Breakfast Box with Naked Cake from Triple K, starting from $15 instead of $30. 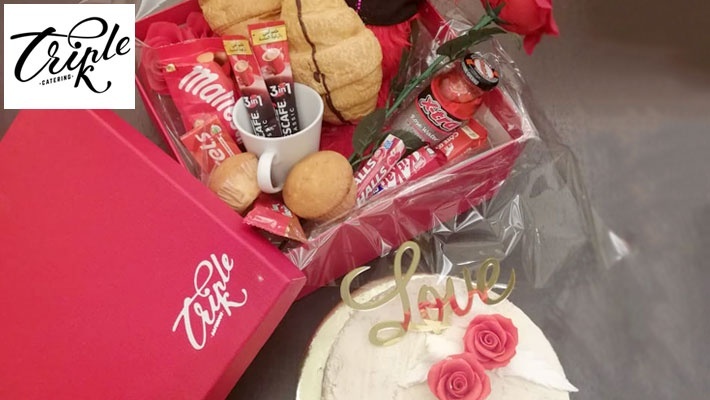 A special gift for a day full of love!